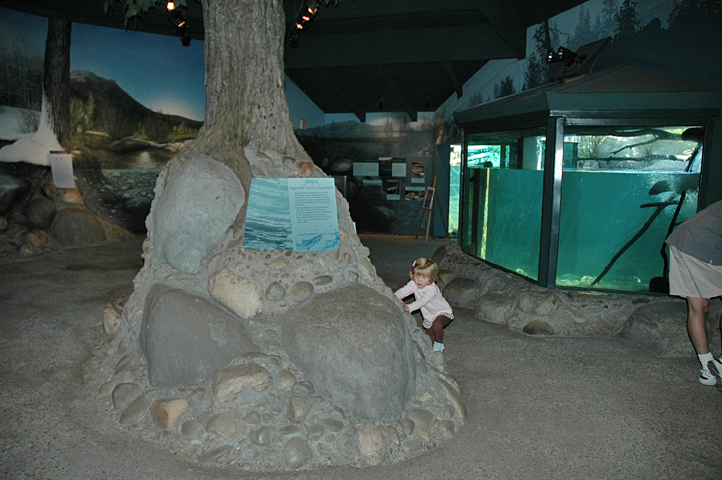 Located 2 miles north of South Lake Tahoe on Hwy 89 is the Taylor Creek Visitor Center/Stream Profile Chamber. 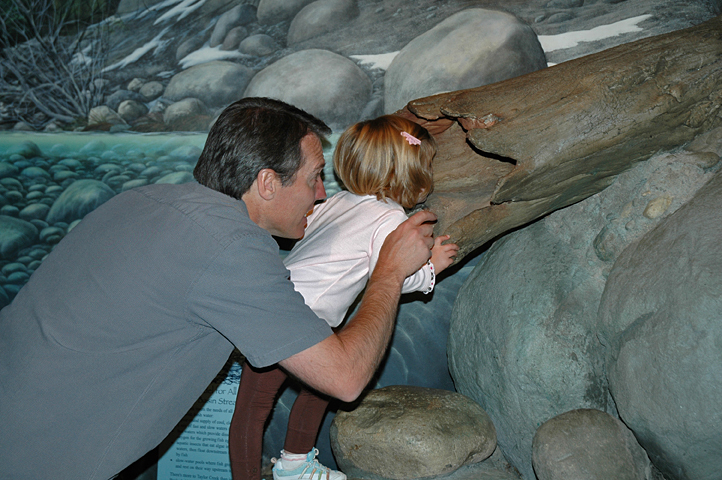 Stream Profile Chamber allows visitors to view the Kokanee Salmon in their natural habitat. 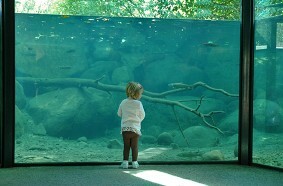 Experience what it would be like to go below the surface of Taylor Creek. 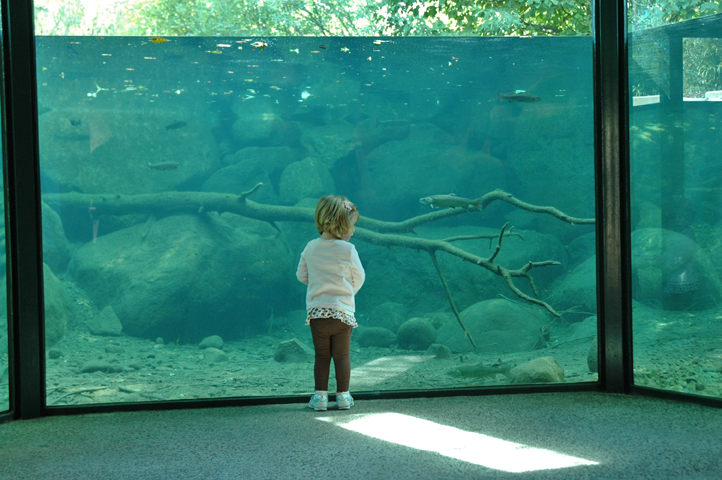 The floor-to-ceiling glass bay windows, waterfall, creek-bottom-like walking surface and sound effects allow visitors to experience the Taylor Creek environment without getting wet! 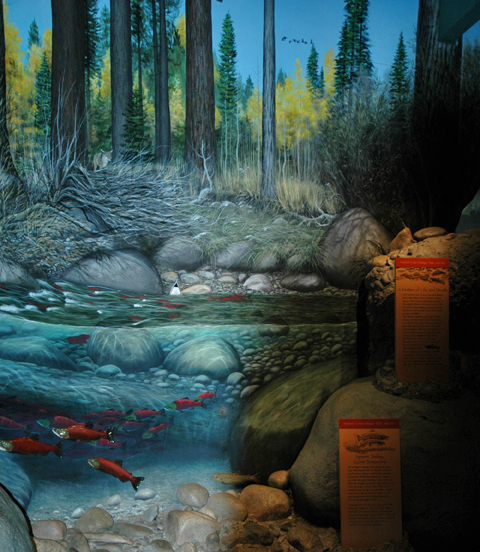 Trout, crayfish, insects, frogs, and other inhabitants of Taylor Creek might be seen displaying some of their natural survival habits. 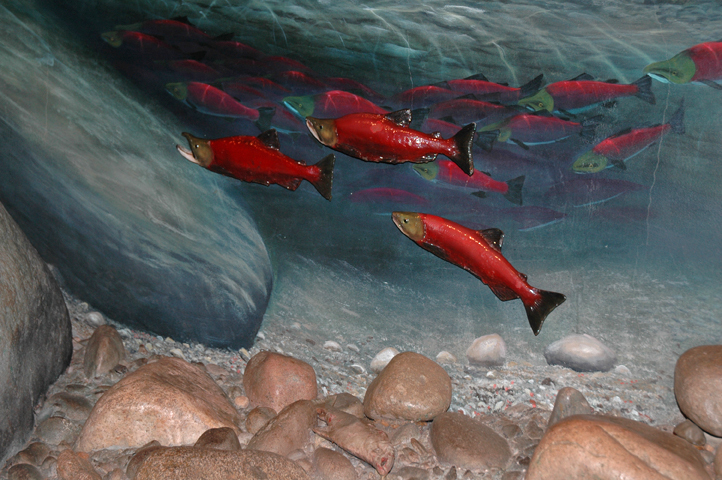 The annual Kokanee Salmon Festival takes place here on the first weekend in October, during the fall spawning run of the Kokanee Salmon in Taylor Creek. Great for the whole family to experience. Open Memorial Day through October – 8:00am to 4:00pm. 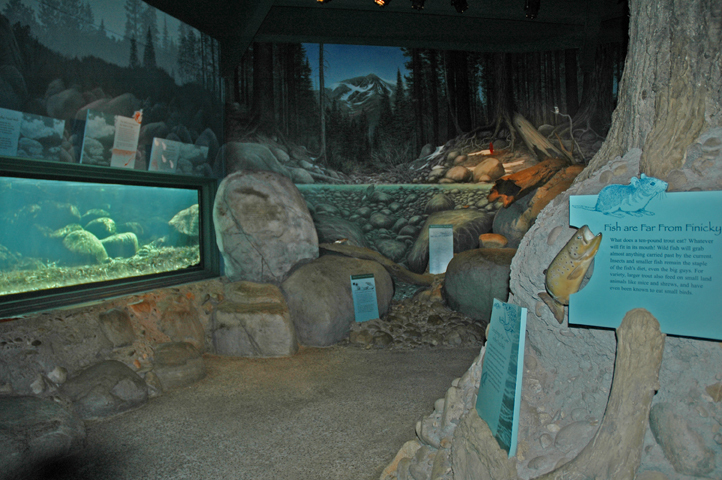 The Visitor Center and Taylor Creek Stream Profile Chamber are FREE.